COST: $40 Members & $45 Non-Members. 50% Off Siblings. When school is out... My Gym is in! Kids have a blast in our 3 hour drop off mini-camps. The action never stops. Activities include games, relays, dances, gymnastics, arts & crafts, snack, and so much more! 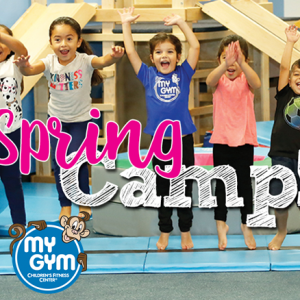 Our camps are perfect for children ages 3-9 years old (must be potty-trained and able to separate). Space is limited and fills up quick so call, text, or click to enroll!